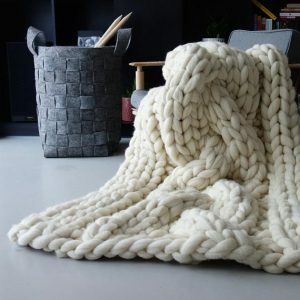 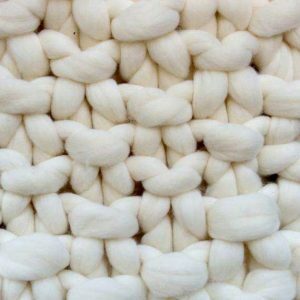 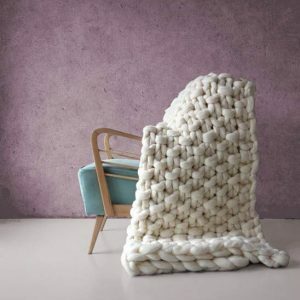 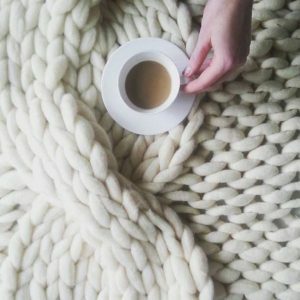 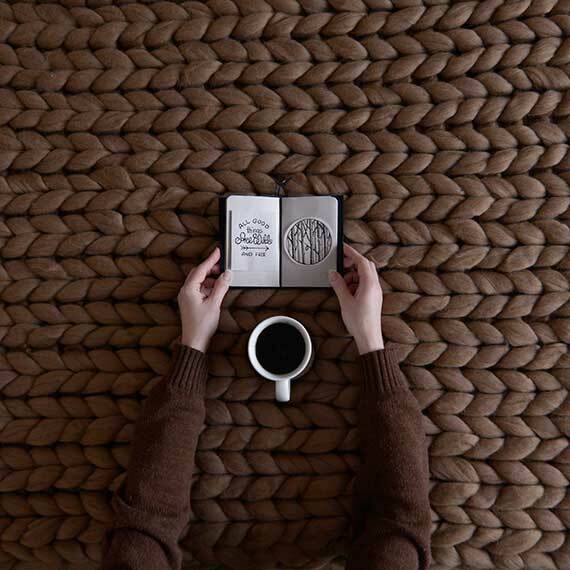 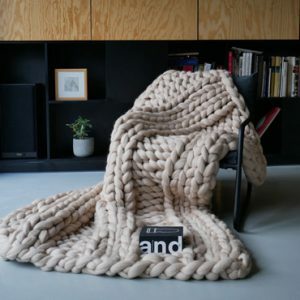 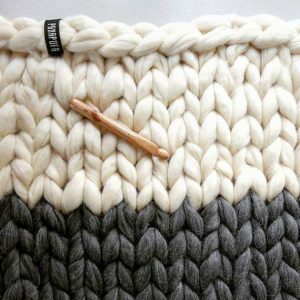 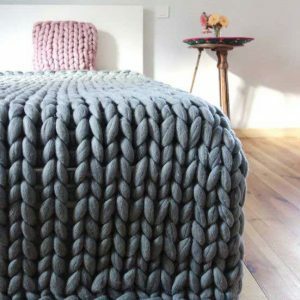 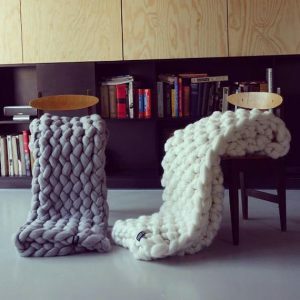 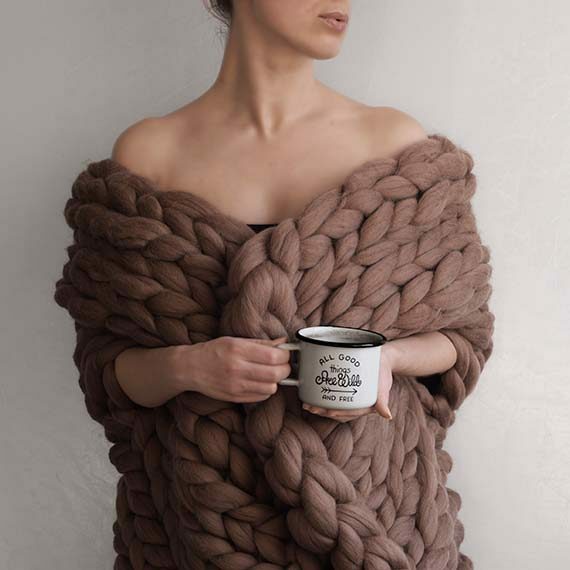 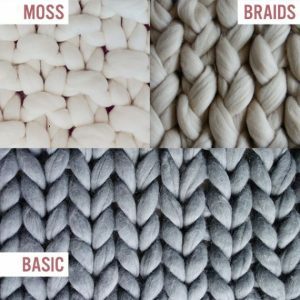 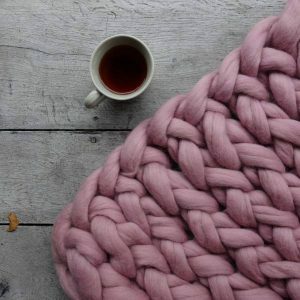 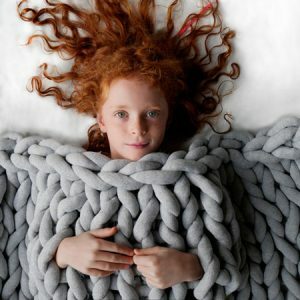 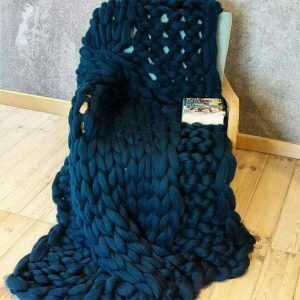 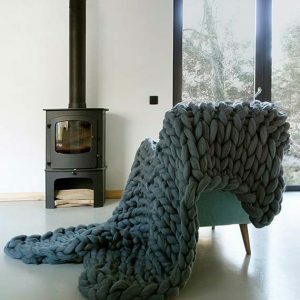 The blanket is handmade with 100% unspun wool. 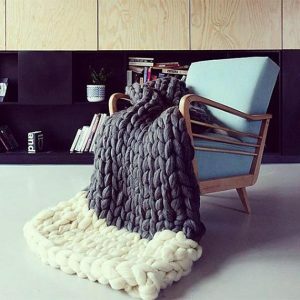 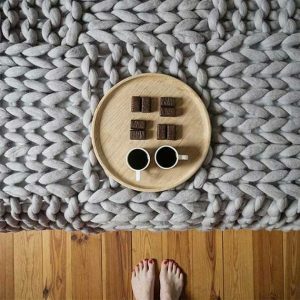 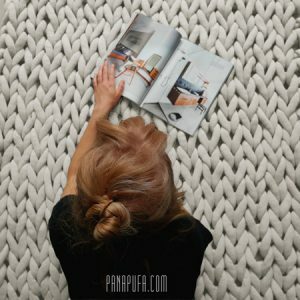 Due to its natural material, traditional hand craft and extreme pattern size the blanket makes your room look contemporary and cosy at the same time. 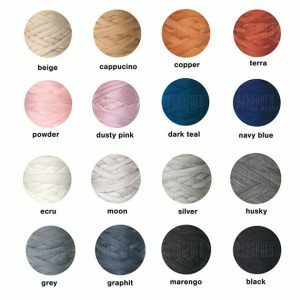 Camel color in the picture.